You can set the hostname of RHEL using the hostnamectl command. step2: Set the hostname using the following commands. One for static hostname and other for pretty hostname. hostnamectl set-hostname "[your hostname with spces]"
Step 3: Now you can check the changed hostnames using the following command. A sample output is shown below. nmcli is a networkmanager command. You can manage the hostname of the system using nmcli. Step1: You can view the current hostname using the following command. Step 2: Use the following nmcli command for setting up the new hostname. 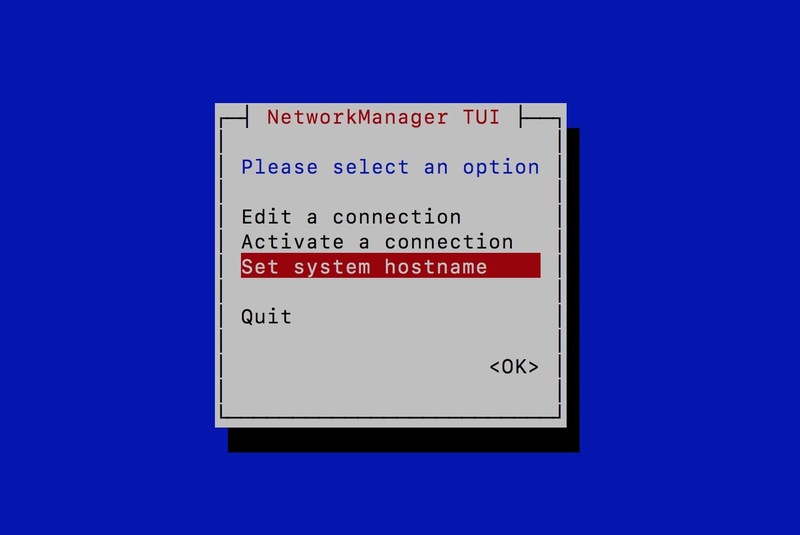 nmtui command will let you set the hostname using the GUI. Just execute the following command and it will guide you through the process of setting up a new hostname.